The month of August will be jam-packed with several action-packed films with a variety of focuses including: superheroes, assassins, questionable characters, and thrilling memories. Check out the trailers and summaries below for my two favourite picks, as well as a few other intriguing films that will be coming out later in the month. I personally have been waiting for Fantastic Four to hit theatres ever since Marvel released that there would be a remake. The film follows the origin story of the group as Reed Richards (Miles Teller), Johnny Storm (Michael B. Jordan), Susan Storm (Kate Mara), and Ben Grimm (Jamie Bell) after they teleport to an alternate universe and change their genetic format in the process. The four learn to harness their abilities in order to become Mr. Fantastic, Human Torch, Invisible Woman, and the Thing. The team learn to work together in order to fight against their former friend Victor Von Doom (Toby Kebbell). I’m extremely excited to see how this reboot will turn out, because the film is filled with exceptional actors and the storyline has always been a favourite of mine. The Gift is a psychological thriller that follows the lives of a young married couple as they are brought mysterious gifts by an acquaintance (Joel Edgerton) from the husband’s (Jason Bateman) past. Joel Edgerton’s character haunts the couple in order to bring light to a secret that has been kept in the dark for more than 20 years. I only recently saw the trailer for this film, however, I find it extremely intriguing as it has made me eager to find out if Edgerton or Bateman are the true villain. Also, this film was both directed and written by Edgerton, which will be exciting to see how he does in his directorial debut. The Gift is definitely one to watch out for this month if you are in for a good mystery and an exciting thrill. The Man From U.N.C.L.E. (In Theatres – Friday August 14th): is an action comedy film that is based on the television series with the same name set in the 60’s period of the Cold War. The film will be directed by Guy Ritchie and will feature Henry Cavill and Armie Hammer as the controversial American-Russian duo of agents Napoleon Solo and Illya Kuryakin. 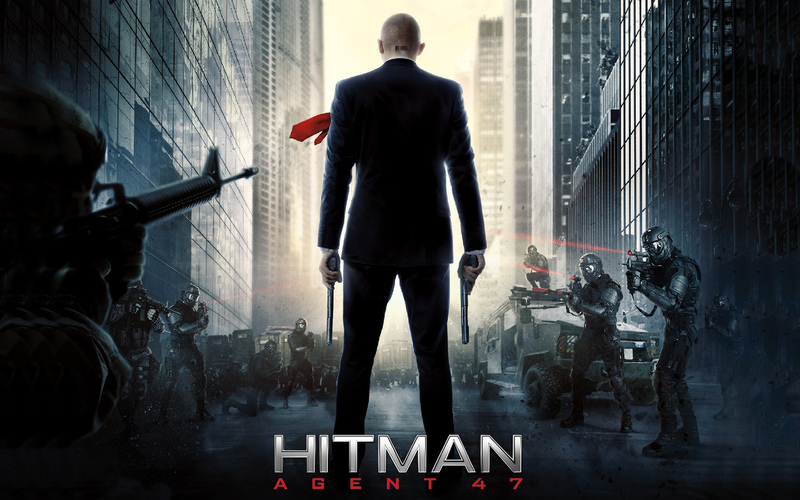 Hitman: Agent 47 (In Theatres – Friday August 21st): is an action film based on a video game series with the same name featuring Rupert Friend in the lead role of Agent 47. Top-secret master assassin Agent 47 fights to help Katia van Dees (Hannah Ware) find her father and to further uncover the secrets of her ancestry. Regression (In Theatres – Friday August 28th): is a psychological thriller featuring Ethan Hawke as Detective Bruce Kenner throughout an investigation in early 90’s Minnesota. 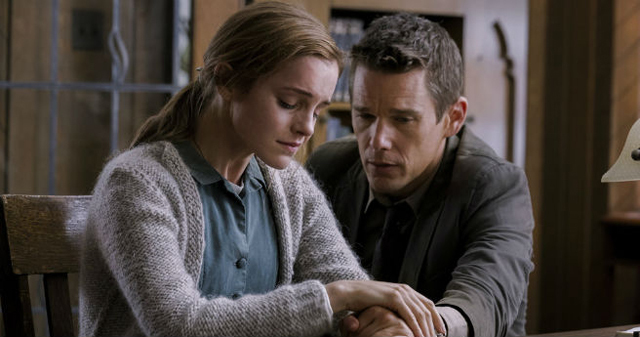 Kenner searches for answers to a case where a father (David Dencik) is accused of sexually abusing his daughter (Emma Watson), even though he has no recollection of the crime.